I came into recovery with preconceived ideas about religion and spirituality; ideas that I kept close to heart, and identified with. Growing up, I felt surrounded by people who insisted on impressing their religious and philosophical views on me, and it made me unreceptive to spirituality. During my addiction, I cultivated a protective shell that repelled ideas that were not strictly in line with my using activities and ideas, and spirituality was buried far underneath the misery that I was experiencing. I could scarcely even imagine myself feeling supported by a connection with a power greater than myself. 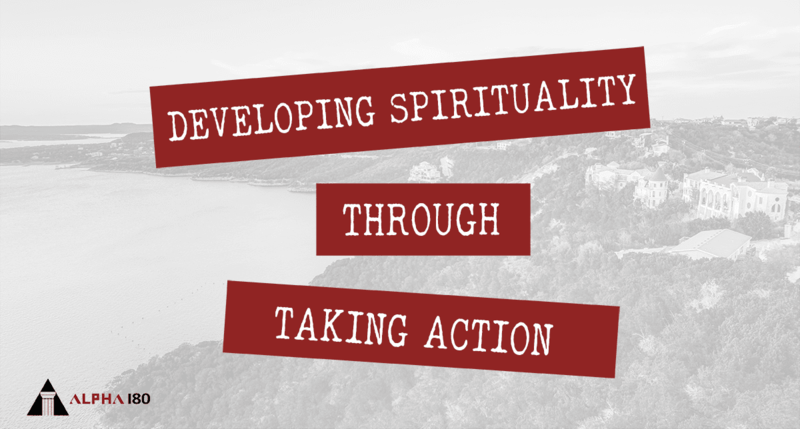 Even in early sobriety it was difficult to spark a connection with spirituality. The elusive and overwhelming nature of finding a personal relationship with a Higher Power was a daunting prospect. I searched and searched to little avail. It was only after I had a difficult enough time in sobriety that I was able to come to a revelation concerning spirituality: whether or not God exists is beside the point. It does not matter if God exists. What truly matters is that I have faith; true and genuine faith in the possibility that there is a Higher Power that is loving and guiding me. This is where action came in. I started to pray honestly and genuinely, and, just as so many people had told me, I started to notice answers to my prayers. In the beginning, I simply noticed that I was more consistently grateful and optimistic. My Higher Power made himself known to me, and I crossed the threshold of understanding the nature of spirituality. It was one of those concepts that, no matter how many people told me was real, I wasn’t going to believe them. To understand and accept this aspect of recovery, I needed to explore it for myself and put action behind my words. Spirituality not only brought me closer to a God of my own understanding. It also brought me closer to my fellows around me. I could see my Higher Power working through others. It has allowed me to constantly be aware of the blessings that make up my life and has brought me out of the abyss in moments are darkness. Putting action behind my spirituality and praying humbled me, because it constantly reinforced to me that I am not the end-all; there is a larger plan at work that I can scarcely even begin to comprehend, and though God shines through me just as he shines through everyone else, I am only a small part of the vast forces that are constantly at work all around us. Today, I can see my Higher Power everywhere. The entire spectrum of human emotion, from love and joy, to sadness and despair. The moments we cherish, from the iridescent sunsets, to the hug of a stranger. My Higher Power is the light that shines on the dark moments. In recovery, we are each entitled to a Higher Power of our own understanding. Everyone’s is real and true. The only thing that matters, is that I believe.